It’s more than just a great song from Sting! Have you ever considered what a lifetime of poor breathing does to your body? Or conversely, the vast implications of properly executed breathing? Each breath either balances the acid/alkaline levels in the body (keeping cellular pH at its optimal level) or sets off a disruption in that homeostasis. 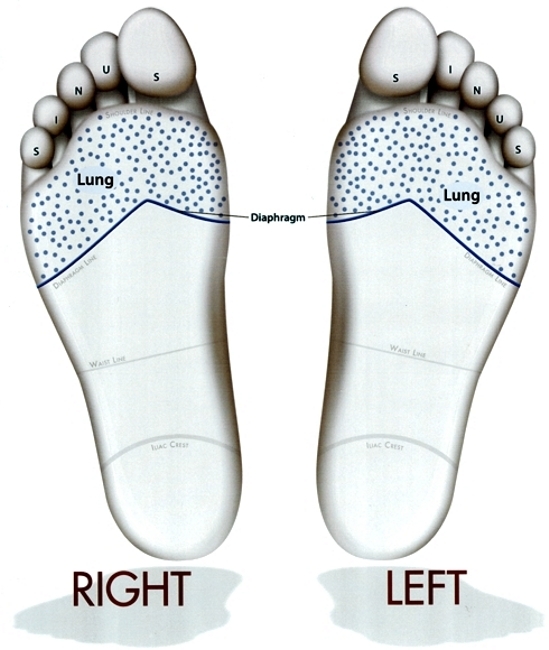 When you breathe deeply and correctly from your diaphragm, your body chemistry is kept in balance. It only takes five or six poorly performed breaths to start to push your pH levels towards imbalance. If not corrected, this disruption of pH has the potential to affect every chemical reaction in your body as well as the efficiency of your metabolism. Breathing incorrectly for three minutes is enough to decrease the amount of oxygen to the brain and heart by 30%. Doctors and scientists tell us that if we breathe shallowly from our chests for years, we pre-dispose ourselves to a range of chronic illnesses – from heart disease to asthma to chronic fatigue. I take every moment I can to just stop and inhale deeply a few times throughout the day, allowing my lungs to expand in all directions like a bellows; letting the diaphragm drop and my belly to expand outwards; my rib cage and lungs to push outwards, both in the front and back; shoulders relaxed. And then to just let it go….nice and easy. Whenever I’m stopped at a traffic light when driving; waiting in line somewhere; walking the beach in the early morning; before I begin to eat; in the morning before getting out of bed and again at night before drifting off to la-la land. Everytime I remember to. To feed my body the food it needs to keep me alive and ticking. Those seconds of deep breathing (most times with my eyes closed) also give my body a quick respite from the crazy momentum of my mind’s thoughts and my life. When working with clients – particularly if the focus of the session is the respiratory system – I encourage my clients to take deep, noisy breaths (so many people don’t want you to hear them breathing!) from time to time. Sometimes, I’ll breathe deeply myself to signal their bodies to do the same. 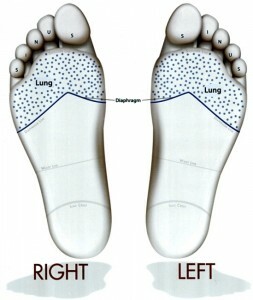 I’ll give extra attention to the reflexes of the diaphragm, lungs, sinus and solar plexus, and watch my client’s breathing change as their body lets go into deep relaxation and natural breathing patterns resurface. It’s so easy – if we just remember to. What a great article. I will be sharing this with my students today. Fantastic. Thanks for sharing and doing some breathing exercises with them. I was just talking to a client yesterday about this. She wanted to know if her massages helped with stress. Of course I told her that it was one of the best reasons for a massage and that we should add in the feet for her next massage. She is always on a rigid time schedule and gets only a 30 minute massage but I am going to fit some much needed reflexology into that 30 minutes. Now after reading this I will talk with her about her breathing to further help her relax with the time allowed. Thank you for your insight. Good idea Annette. Someone who is always rushing and on a time schedule can use some extra stress reduction. Thanks for writing!